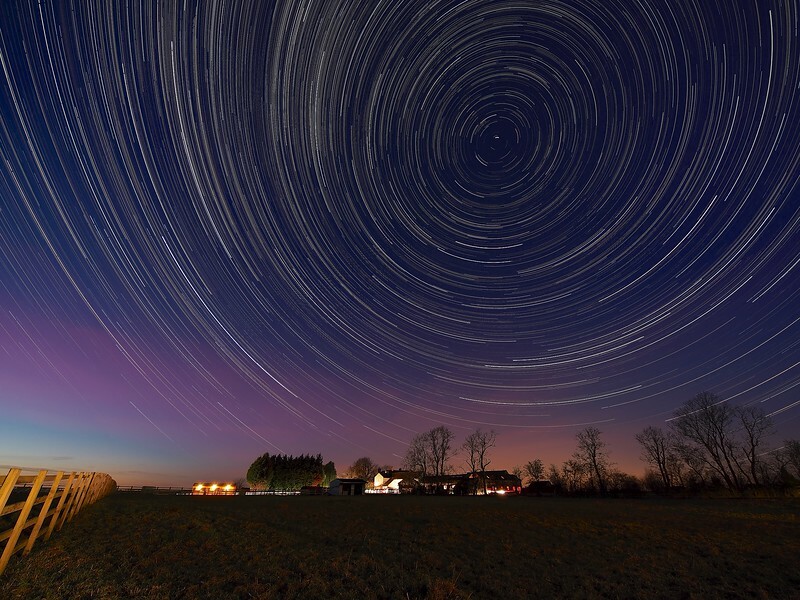 StarTrail 06 Jan 2015, Leicestershire, UK. First startrail of the New Year. Captured with Olympus OM-D E-M5 & 7-14mm lens. The image is composed around the North Star (Polaris), the pole star around which all others spin.